مدار رأس‌الجَدْی خطی فرضی در جغرافیای زمین است که جنوبی‌ترین عرضی را نشان می‌دهد که خورشید را می‌توان در بالای سر (خط سرسو) مشاهده کرد. قرار گرفتن خورشید در خط سرسو در این مدار یک بار در سال به هنگام انقلاب زمستانی رخ می‌دهد. رأس‌الجَدی یکی از پنج مدار مهم زمین است که غالبا در نقشه‌ها مشخص می‌شود. این مدار، در سال ۲۰۰۰ موازی با عرض جغرافیایی "۲۱،۵ '۲۶ °۲۳ جنوب استوا بوده و طی نوساناتی تا سال ۲۰۱۴ به عرض جغرافیایی "۱۴،۹ '۲۶ °۲۳- می رسد. در دهه‌های اخیر این مدار سالانه "۰،۴۷ (۰،۴۷ ثانیه قوسی) یعنی حدود ۱۵ متر به استوا عقب می‌کشد. برای اطلاعات بیشتر از نوسانات مداری آن مدار جغرافیایی را بنگرید. این مدار که معنی نام آن «سر بزغاله» است مدار عرض جغرافیایی ۲۳ درجه و حدود ۲۷ دقیقه جنوبی کره زمین است. آفتاب در روز اول زمستان (روز اول بُرج جَدْی) در نیم‌کرهٔ جنوبی به نقاط واقع در روی این مدار عمودی می‌تابد، به عبارت دیگر روز اول برج جدی در نیم‌کرهٔ شمالی مقارن روز اول تابستان در نیم‌کرهٔ جنوبی زمین می‌شود. در انقلاب زمستانی، در مناطقی که در این ناحیه از زمین قرار دارند هنگام ظهر خورشید در سرسو یعنی دقیقاً در بالای سر قرار می‌گیرد. در مناطق پایین‌تر از این مدار خورشید همیشه در شمال نقطه سرسو قرار دارد. جدی (بزغاله) نام صورت فلکی جنوبی‌ای است که خورشید در حدود ۲۰۰۰سال پیش در آن قرار می گرفته‌است. امروزه به دلیل حرکت تقدیمی زمین صورت فلکی کمان در این مکان قرار دارد. مدار رأس‌الجدی به موازات خط استوا است و منطقهٔ گرمسیری بین دو مدار رأس‌الجدی و رأس‌السرطان قرار دارد. محدوده شمال آن تا خط استوا منطقه گرمسیری جنوبی، و محدوده جنوب آن تا مدار قطب جنوب، منطقه معتدل جنوبی نامیده می‌شود. یکی از دو نوع باد دائمی بادهای بسامان نامیده می‌شوند. بادهای بسامان شمال شرقی و بسامان جنوب شرقی از مدار رأس‌الجدی و رأس‌السرطان که به ترتیب ۲۳ درجه و ۲۷ دقیقه جنوب و شمال خط استوا واقع‌اند به طرف خط استوا می‌وزند. همانند با مدار رأس‌السرطان، بیشتر مناطق واقع‌شده بر روی مدار رأس‌الجدی نیز آب‌وهوایی خشک یا نیمه‌خشک دارند. این وضعیت در مدار رأس‌الجدی وخیم‌تر است زیرا در استرالیا و آفریقای جنوبی که در مسیر آن قرار دارند به خاطر نبود فعالیت‌های زمین‌ساختی و نبود یخچال‌سازی مصنوعی از دوران کربونیفر، یعنی ۳۰۰ میلیون سال پیش، زمین‌ها نیز به‌شدت نابارور و غیرحاصل‌خیز هستند. ↑ «Obliquity of the Ecliptic and Nutation in Obliquity». PHP Science Labs. بازبینی‌شده در ۵ دسامبر ۲۰۱۲. ↑ مشارکت‌کنندگان ویکی‌پدیا. «Tropic of Capricorn». در دانشنامهٔ ویکی‌پدیای انگلیسی، بازبینی‌شده در ۳۰ آذر ۱۳۹۲. This article is about the circle of latitude. For other uses, see Tropic of Capricorn (disambiguation). The Tropic of Capricorn (or the Southern Tropic) is the circle of latitude that contains the subsolar point on the December (or southern) solstice. It is thus the southernmost latitude where the Sun can be directly overhead. Its northern equivalent is the Tropic of Cancer. The Tropic of Capricorn is one of the five major circles of latitude that mark maps of Earth. As of 26 April 2019, its latitude is 23°26′12.4″ (or 23.43678°) south of the Equator, but it is very gradually moving northward, currently at the rate of 0.47 arcseconds, or 15 metres, per year. When this line of latitude was named in the last centuries BC, the Sun was in the constellation Capricornus (Latin for goat horn) at the December solstice, the time each year that the Sun reaches its zenith at this latitude. Due to the precession of the equinoxes, this is no longer the case; today the Sun is in Sagittarius at the December solstice. The word "tropic" itself comes from the Greek "trope (τροπή)", meaning to turn or change direction, referring to the fact that the Sun appears to "turn back" at the solstices. The Tropic of Capricorn is the dividing line between the Southern Temperate Zone to the south and the tropics to the north. The Northern Hemisphere equivalent of the Tropic of Capricorn is the Tropic of Cancer. 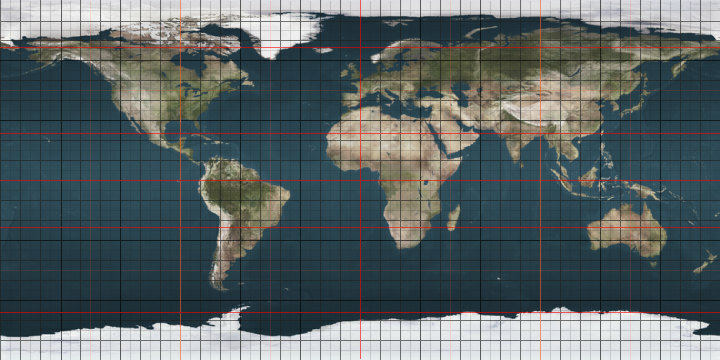 The Tropic of Capricorn's position is not fixed, but constantly changes because of a slight wobble in the Earth's longitudinal alignment relative to its orbit around the Sun. Earth's axial tilt varies over a 41,000 year period from 22.1 to 24.5 degrees and currently resides at about 23.4 degrees. This wobble means that the Tropic of Capricorn is currently drifting northward at a rate of almost half an arcsecond (0.468″) of latitude, or 15 metres, per year (it was at exactly 23° 27′S in 1917 and will be at 23° 26'S in 2045). See under circles of latitude for information. In southern Africa, where rainfall is reliable, farming is possible, though yields are low even with fertilisers. In Australia, areas on the Tropic have some of the most variable rainfall in the world and thus even the wetter areas cannot be generally farmed, since irrigation sources invariably dry up in drought years. In South America, whilst in the continental cratons soils are almost as old as in Australia and Southern Africa, the presence of the geologically young and evolving Andes means that this region is on the western side of the subtropical anticyclones and thus receives warm and humid air from the Atlantic Ocean. As a result, areas in Brazil adjacent to the Tropic are extremely important agricultural regions, producing large quantities of crops such as sugarcane, and the natural rainforest vegetation has been almost entirely cleared, except for a few remaining patches of Atlantic Forest. Further south in Argentina, the temperate grasslands of the Pampas region is one of the most productive agricultural regions in the world, producing of wheat, soybeans, maize, and beef, making the country one of the largest worldwide agricultural exporters, similar to the role played by the Prairies region in Canada. West of the Andes, however, the Humboldt Current makes conditions extremely arid, creating the Atacama Desert, one of the driest in the world, so that no glaciers exist between Volcán Sajama at 18˚30'S and Cerro Tres Cruces at 27˚S. Vegetation here is almost non-existent, though on the eastern slopes of the Andes rainfall is adequate for rainfed agriculture. The following cities and landmarks are either located near the Tropic of Capricorn, or the tropic passes through them. Roadway plaque marking the Tropic of Capricorn in the city of Santana do Parnaíba, Brazil, at the correct latitude for year 1917. Length of the Tropic on 11 June 2015, at 23°26′14″S is 36,788 kilometres (22,859 mi). ^ The Cook islands, Tokelau and Niue, which are part of the Realm of New Zealand lie above the Tropic of Capricorn. Wikimedia Commons has media related to Tropic of Capricorn. Look up tropic of capricorn in Wiktionary, the free dictionary. این صفحه آخرین‌بار در ‏۲۵ سپتامبر ۲۰۱۸ ساعت ‏۰۹:۱۳ ویرایش شده‌است.